Boneless chicken breast marinated in lemon juice and barbecued in Tandoor. Chicken marinated in yogurt and spices with saffron, barbecued in Tandoor. Tender chicken marinated in yogurt and spices, cooked in garlic and barbecued in a Tandoor. 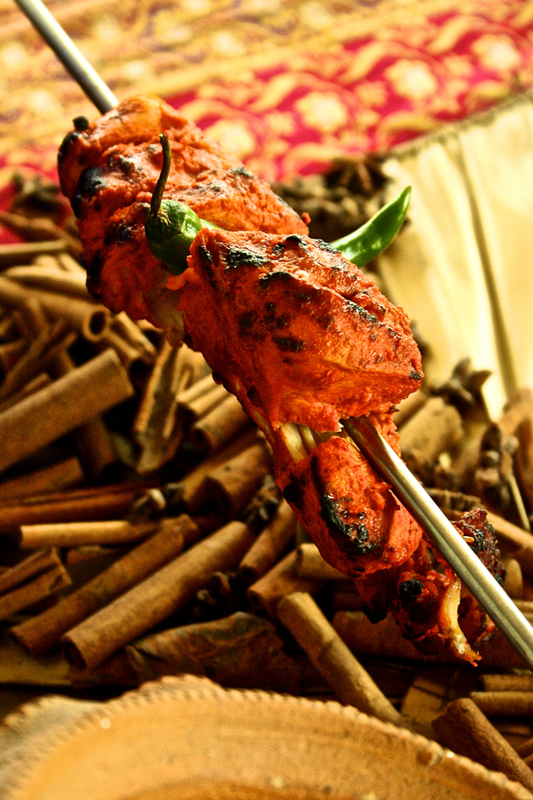 Spiced yogurt marinated tender chicken, cooked in Tandoor and served on a sizzler. Young chicken marinated in yogurt and spices, grilled in a Tandor.